This Friday’s exceedingly rare solar eclipse has an astronomical relationship to the fateful 1492 Blood Moon, according to Root Source, in their second major revelation in recent days. “Friday’s total solar eclipse is a direct descendant of an earlier eclipse that touched land in the New World during the middle of the 1492 Alhambra decree that ordered the expulsion of the Jews from Spain,” Root Source co-founder Bob O’Dell told Breaking Israel News. Eclipses run in families, referred to by NASA as the saros cycle, which repeat every 18 years and 11 days. Root Source traced this Friday’s unusual eclipse directly to an eclipse that took place in April 1492. There has been a growing interest recently in the Blood Moons, which have been occurring uninterruptedly on the Jewish holidays of Passover and Sukkot (Feast of Tabernacles) of 2014 and 2015. 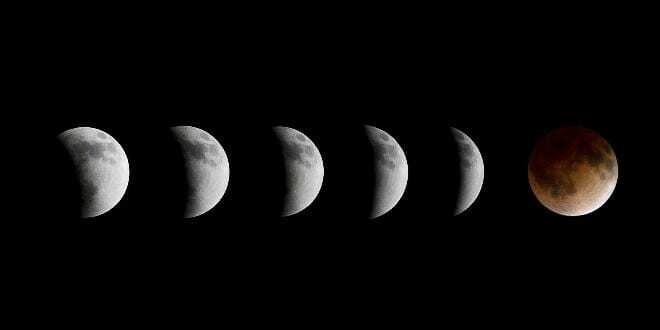 The next total lunar eclipse, known as a Blood Moon, will take place on April 4, 2015, the first night of Passover. 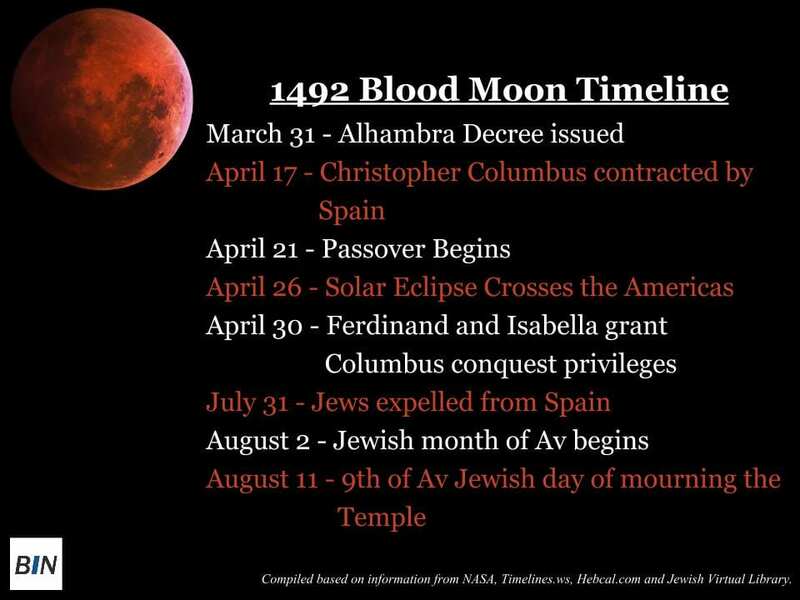 A series of four uninterrupted Blood Moons, known as a tetrad, that fall on Jewish festivals have only occurred in 1967, 1949 and 1493, all years of major significance in Jewish history. Prominent Christian leaders such as Pastors John Hagee and Mark Biltz have pointed to a pattern and identified possible apocalyptic ramifications for the 2014-2015 Blood Moons. Critics of the apocalyptic theory claim that the timing of the Blood Moons is off. While 1967 marked the Six Day War and 1949 was the year Israel’s War of Independence concluded, 1493-1494 is far removed from the pivotal events of 1492. Jews, who had flourished for hundreds of years in Spain, began to be persecuted in what is referred to as the Spanish Inquisition, which began in 1481. The persecution continued until the Spanish monarchy issued the edict of expulsion, known as the Alhambra Decree, on March 31, 1492. The decree declared that the entire Spanish Jewish population was be expelled by July 31 of that same year, which turned out to coincide with the voyage of Christopher Columbus. “In the same month in which their Majesties [Ferdinand and Isabella] issued the edict that all Jews should be driven out of the kingdom and its territories, in the same month they gave me the order to undertake with sufficient men my expedition of discovery to the Indies,” Columbus wrote in the first entry of his diary. However, some critics reject any planetary pattern, let alone its prophetic implications. In a column entitled “A Popular Error in Prophetic Interpretation” in Advindicate, a Seventh Day Adventist newsite, the author argues that, “The first tetrad did not begin until April 1493, but the Jews were driven from Spain on July 30, 1492; they left Spain 9 months before the first blood moon appeared.” As such, there is no pattern and no significance for 2014-2015. 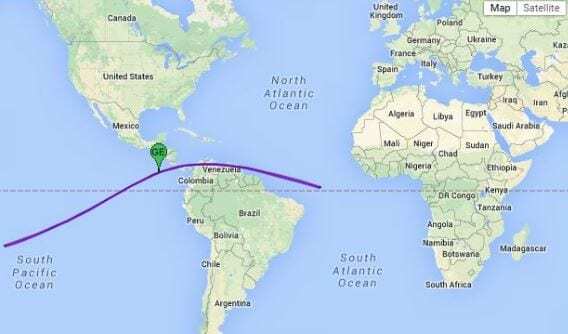 NASA has tracked the path of the solar eclipse of April 26, 1492, which began in the Pacific Ocean south of the equator and traveled northeast crossing the thin land bridge where, years later, the Panama Canal would be built. On the Jewish calendar, April 26, 1492 corresponds to the fifth day of Passover (20 Nissan), which the Bible states is two days before the Exodus from Egypt and the splitting of the sea. Screenshot from NASA website on the path of the solar eclipse of April 26, 1492. After then clipping the very top of South America, the path of the 1492 solar eclipse headed southeast in the Atlantic Ocean very close to the shortest crossing point between South America and Africa. “It is almost like it was a signpost being placed on earth for later generations to see, once the age of computers would arrive,” O’Dell explained to Breaking Israel News. O’Dell, a devoted Christian from Austin, Texas, joined with Gidon Ariel, an Orthodox Jew living in Israel, to start Root Source, a site dedicated to teaching Christians about the Torah and Judaism. Ariel noted the trajectory that Spain took following the expulsion of its Jewish residents. “History has shown that nations rise and fall based on how they treat the Jews, and Spain never recovered their previous glory after evicting the Jews,” he told Breaking Israel News. Root Source is offering a free “Blood Moons 101” eBook and video course to prepare Christians for the upcoming solar eclipse and Blood Moons. Ariel and O’Dell have issued a global call to prayer for the exact two minutes that the earth will be in the shadow of the sun this Friday. Ariel will be leading a group of Jews and Christians at the Western Wall and is inviting worldwide worshipers to join via the Root Source website. Root Source has even prepared a specially made two minute prayer for this Friday that can also be accessed through their website, written by Steve Hawthorne, a noted prayer author. “As Friday’s eclipse seems to be from the finger of God, the most important thing we can do during that event is to pray that the knowledge of God would increase very rapidly for the sake of peace and safety for all,” O’Dell stated. To download the free eBook “Blood Moons 101” click here. The 5,000-year-old remains of a mother holding a child are discovered in Taiwan, representing the earliest trace of human activity in the country. Angela Moore reports. The graphic is huge, visit my blog post to see graphic and visit link to reporter's name to see video. Good article. Loving to share for my next study. Good sharing for me. For the past year, neutron monitors around the Arctic Circle have sensed an increasing intensity of cosmic rays. Cosmic rays are high-velocity particles of enormous energy that bombard the Earth from outside the solar system. The exact origin of cosmic rays has long been a mystery in the field of astronomy. Cosmic rays may produce showers of secondary particles that penetrate and impact the Earth’s atmosphere and sometimes even reach the surface. The connection between cosmic rays and clouds has been under investigation in recent years and somewhat controversial. Some researchers have held the belief that cosmic rays hitting Earth’s atmosphere create aerosols which, in turn, seed clouds and thereby help in the formation of clouds. This would make cosmic rays an important player in weather and climate. Other researchers, however, have been dubious. The skeptics have maintained that although some laboratory experiments have supported the idea that cosmic rays help to seed clouds, the effect is likely too small to substantially affect the cloudiness of our planet and have an important impact on climate. We happen to be in a weak solar cycle (24) which is actually on pace to be the weakest cycle in more than one hundred years. Therefore, it would not be surprising to have relatively high cosmic ray penetration into the Earth’s atmosphere; especially, since we are now heading towards the next solar minimum phase when solar activity is generally even quieter. A team of scientists from the National Space Institute at the Technical University of Denmark (DTU Space) and the Racah Institute of Physics at the Hebrew University of Jerusalem has linked large solar eruptions to changes in Earth’s cloud cover in a study based on over 25 years of satellite observations. The solar eruptions are known to shield Earth’s atmosphere from cosmic rays. However the new study, published in Journal of Geophysical Research: Space Physics, shows that the global cloud cover is simultaneously reduced, supporting the idea that cosmic rays are important for cloud formation. The eruptions cause a reduction in cloud fraction of about 2 percent corresponding to roughly a billion tonnes of liquid water disappearing from the atmosphere. Since clouds are known to affect global temperatures on longer timescales, the present investigation represents an important step in the understanding of clouds and climate variability. “Earth is under constant bombardment by particles from space called galactic cosmic rays. Violent eruptions at the Sun’s surface can blow these cosmic rays away from Earth for about a week. Our study has shown that when the cosmic rays are reduced in this way there is a corresponding reduction in Earth’s cloud cover. Since clouds are an important factor in controlling the temperature on Earth our results may have implications for climate change,” explains lead author on the study Jacob Svensmark of DTU. These particles generate electrically charged molecules — ions — in Earth’s atmosphere. Ions have been shown in the laboratory to enhance the formation of aerosols, which can serve as seeds for the formation of the cloud drops that make up a cloud. Whether this actually happens in the atmosphere, or only in the laboratory is a topic that has been investigated and debated for years. When the large solar eruptions blow away the galactic cosmic rays before they reach Earth they cause a reduction in atmospheric ions of up to about 20 to -30 percent over the course of a week. So if ions affect cloud formation it should be possible to observe a decrease in cloud cover during events when the Sun blows away cosmic rays, and this is precisely what is done in this study. Arriving at that conclusion was, however, a hard endeavor; Very few strong Forbush decreases occur and their effect on cloud formation is expected to be close to the limit of detection using global atmospheric observations measured by satellites and land based stations. Therefore it was of the greatest importance to select the strongest events for study since they had to have the most easily detected effect. Determining this strength required combining data from about 130 stations in combination with atmospheric modeling. This new method resulted in a list of 26 events in the period of 1987-2007 ranked according to ionization. This ranked list was important for the detection of a signal, and may also shed some light on why previous studies have arrived at varied conclusions, since they have relied on events that were not necessarily ranked high on the list. The Suns contribution to past and future climate change may thus be larger than merely the direct changes in radiation, concludes the scientists behind the new study. Construction has begun on one of the world's largest and most sensitive cosmic-ray facilities. Located about 4410 m above sea level in the Haizi Mountain in Sichuan Province in southwest China, the 1.2 billion yuan ($180m) Large High Altitude Air Shower Observatory (LHAASO) will attempt to understand the origins of high-energy cosmic rays. LHAASO is set to open in 2020. Cosmic rays are particles that originate in outer space and are accelerated to energies higher than those that can be achieved in even the largest man-made particle accelerators. Composed mainly of high-energy protons and atomic nuclei, cosmic rays create an air shower of particles such as photons and muons when they hit the atmosphere. Where cosmic rays come from, however, has remained a mystery since they were first spotted some 100 years ago. LHAASO aims to detect cosmic rays over a wide range of energies from 1011–1018 eV using a Cherenkov water detector, covering a total area of 80 000 m2, together with 12 wide-field Cherenkov telescopes. These two types of instrument, which are above ground, will spot the Cherenkov radiation emitted when a charged particle travels through a medium faster than light can travel through that medium. LHAASO will also consist of a 1.3 km2 array of 6000 scintillation detectors that will study electrons and photons in the air showers, while an overlapping 1.3 km2 underground array of 1200 underground Cherenkov water tanks will detect muons. Man’s nearest star is less active after scientists noticed a plunge in the number of sunspots. As a result, some say, global temperature levels will not rise as much as predicted, while others insist this will do little to slow climate change.